Words ignite conversations and spark ideas. Encourage Word Collecting with your family with simple projects to edible creations. Just Share your Word Collector idea with us by emailing TWC@ReynoldsTLC.org. Plastic eggs are great to collect and hunt for words through the year! After reading The Word Collector aloud Ayla and her mom wrote Alya’s favorite words on paper, folded them up, and placed them into plastic eggs. Each egg with its special word selected from the word basket and reopened brought new delight. After taking all of the words out, spontaneously Ayla threw the pile of words into the air! She even wanted to take her basket of word eggs to share when they went to the grocery store! There is adventure in discovering a new word. Andrea’s mother often will share the story of a young Andrea struggling with pronouncing the word Skunk. But the day she could figure out how all the letters and syllables fell together, it became her favorite word - much to the amusement of the older women at the grocery store. As a lover of words, Andrea shares her passion with the little ones in her life- encouraging them to post their favorite words on their bedroom walls. The collection will often start over dinner asking the simple question: What word did you discover today? Write the word on a slip of paper and grow the collection. Have a reluctant speller? No problem. 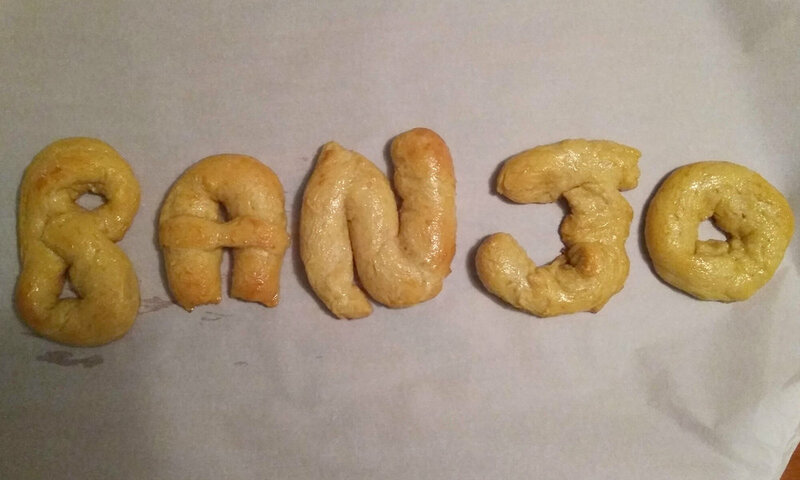 Make pretzel letters and build your words. Cooking together is a wonderful way to encourage conversation and spark ideas. 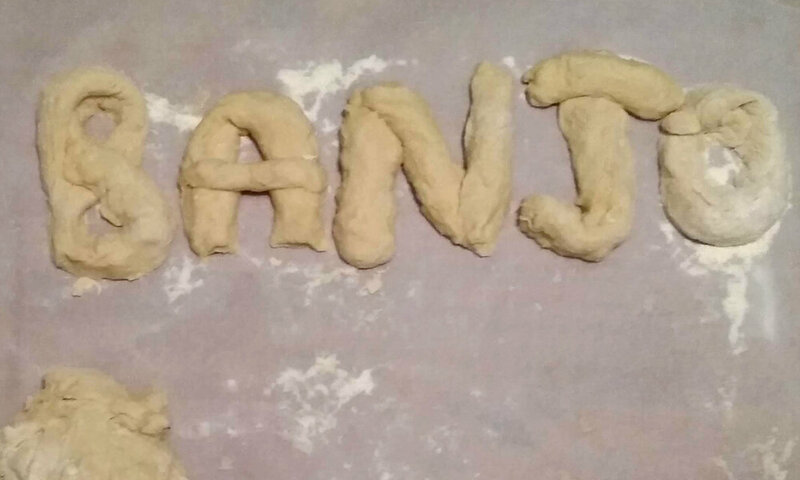 Make your dough, and then shape letters. Have young Word Collectors select their favorite word and together you can form the letters. Ask: “Can you make another word using these letters”? Once baked, grab your favorite mustard and dive in.